Crafted of deluxe corduroy material in deepest midnight blue, the Sitsational ModFX 1-Seater lounger is the perfect choice for your next casual furniture purchase. 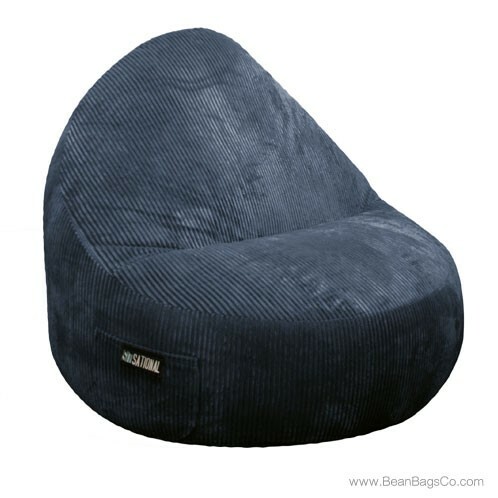 With its high-quality construction, comfortable seating, and two convenient sizes, this bean bag chair might be the last one you ever need for your television or game room, child’s bedroom, or anywhere you want light, stylish casual seating. The tough and durable cover is made from solid fabric and hand sewn for the highest quality. The fill is 100 percent recycled polyester material for long-lasting comfort and the chair is ergonomically designed to support your head, neck and back while you relax. The midnight blue complements most decors, whether you need seating as junior furniture for a child’s room or adult furniture for a den. The single-seater lounger comes in both junior and twin sizes and wipes clean easily with a damp cloth. Whatever your casual furniture needs, this single lounger is a great choice to give you comfort, functionality, and beauty in any room of your home. Looking for other colors? 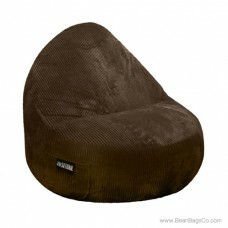 This amazing sitsational lounger is available in berry, chocolate, dark purple and black.